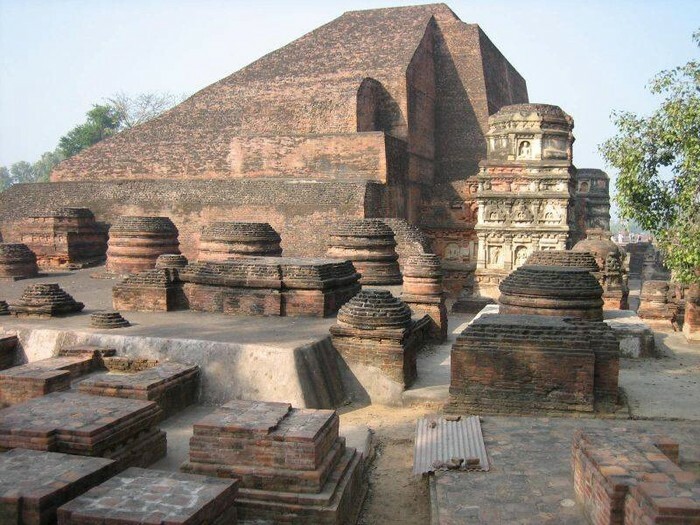 The most famous Buddhist school is Nalanda University. It had eight colleges and three libraries. Students learned both about about Hinduism and Buddhism. They also studied logic, grammar and medicine. about their problems. They learned how to make medicines from natural recourses and they were skilled in surgery. Each university was either Hindu or Buddhist. Only makes could attend, unless you were a teacher's daughter. The Hindu universities consisted mostly of upper class people, and they studied religion, math, astronomy, chemistry, and Sanskrit. Extra classes were sculpting, painting, music and dancing.